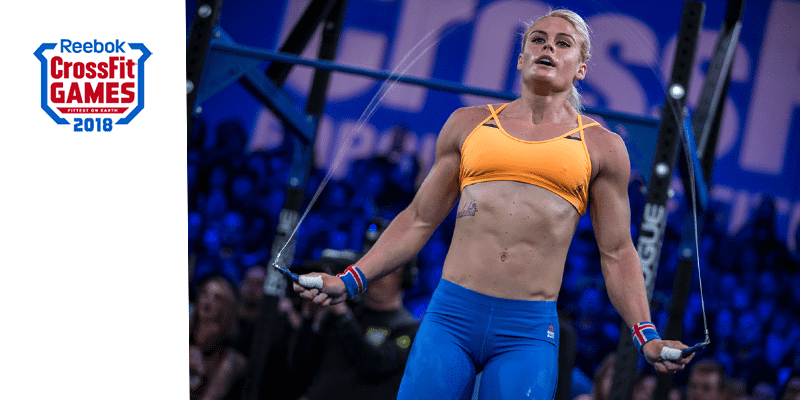 Master these 7 exercises and you will give yourself a great chance for success in the CrossFit Open this year! To swing your legs up to the bar, while hanging is a great core and grip exercise. The scaled version is to raise your knees to your chest or even your elbows. The knee to elbow version makes the kip understandable. The first thing to tire in this exercise is often the grip, at least in my case. To make each rep count you must let your legs bend behind you and then lift them up to the bar. The feet must touch the bar. You also get more momentum from the legs if you let them swing up and down. To protect the shoulders, it is crucial to have some tension in them and make sure you are not just hanging inert. If you perform the kipping toe to bar correctly you elevate your upperbody to make the distance for the legs shorter. If the toes to bar movement is to be performed in the rings the legs must be raised to finish at ring height between the hands.